WILLEMSTAD - After Hurricane Irma, it took a few weeks before telephone communication was possible in Sint Maarten again. There was also considerable damage to Internet traffic. 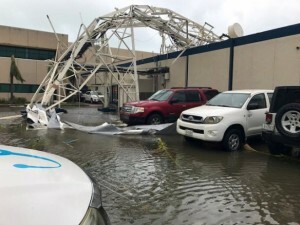 Telecom Provider UTS is now disclosing information about the total damage suffered to the equipment in St. Maarten. The total cost of the damage is estimated at 34 million guilders (about 20 million dollars). The company has indicated that the existing 2G network will no longer be repaired. Customers who used this network are encouraged to the faster 3G.